Working on your core should be part of any fitness routine. How can yoga in the UAE help with core strengthening & conditioning? The UAE Personal Trainers website is the best place to find a Yoga personal trainer or instructor in Abu Dhabi, Dubai & Sharjah. As well as listing the best personal trainers near you in the UAE we also provide great tips and information relating to health and fitness. Leila, a sought after personal yoga trainer in Abu Dhabi explains how working on your core in your yoga sessions in the UAE can help in many ways. There are plenty of methods for working on the core using a wide variety of fitness methods and equipment but can Yoga help with strengthening the core too? Yes, yoga definitely helps to strengthen the core. The core is not just the “6 pack” rectus abdominus, but includes many other stabilizing muscles. These include the pelvic floor, the obliques, transverse abdominus (the deepest abdominal muscle), back muscles such as the erector spinae and multifidus, and also the diaphragm. Yoga focuses on stabilizing the body, or certain parts of the body, whilst other parts move. This could just be holding a particular asana and breathing, or it could be flowing through movements and breathing. Yoga encourages engaging the deeper layers of the core throughout the asanas (poses). I often prompt students to gently lift the pelvic floor muscles and hug the lower belly in towards the spine. This helps to protect the lower back as well as stabilize the body. As a professional yoga trainer in Abu Dhabi do you think working on the core can help someone new to yoga advance to more difficult poses? Of course. The beginner poses lay the foundation work to accessing the more advanced poses. Not only is strength required, but also flexibility, breath control and mental focus. It takes time to learn how to access and engage particular muscles in order to keep certain joints and bones immobile. This includes the core. Many of the more advanced poses require a strong core, especially balancing poses. Can you give some examples of yoga poses/asanas that help in improving the core muscles and stability? There are various poses that help with increasing core strength, such as Sethu Bandhasana (bridge), Salabasana (locust), Navasana and Ardha Navasana (boat and half boat), Trikonasana (triangle), Vasisthasa (side plank), Chaturanga Dandasana (four limbed stick pose), Matsyasana (fish), balancing poses like Vrksasana (tree), Utthita Hasta Pandangustasana (extended hand-toe pose), Ardha Chandrasana (half moon) and of course inversions. Examples of inversions: Salamba Sarvangasana (supported shoulder stand), Halasana (plow), Adho Muha Vrksasana (handstand), Bakasana (crow) and Pincha Marurasana (feathered peacock). Note that many of these poses should be practiced under the supervision of a qualified yoga instructor as injury may occur, especially with the inversions. Are core training yoga poses suitable for anyone? For example the elderly or prenatal mothers? Almost everybody could do with a stronger core! Modifications and regressions can be made for those who do not possess the strength (yet). Using props such as walls, chairs, blocks and straps are great ways to assist people in finding the muscles needed to engage those core muscles, until they can build up the strength to do it without the help of props. 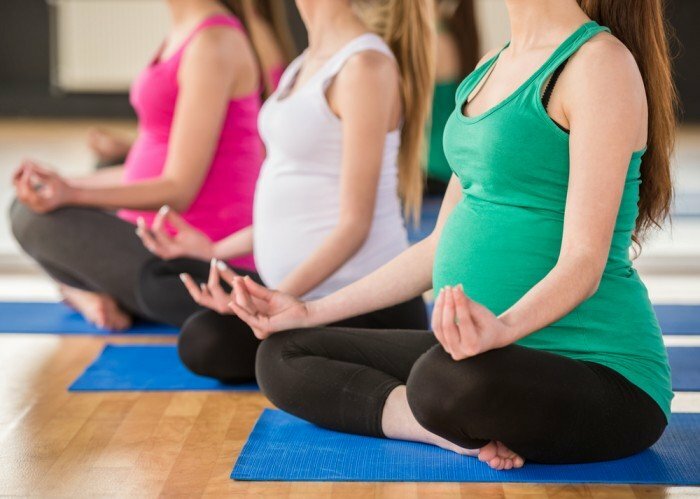 Pregnant ladies’ practice depends on which trimester the mother is in, as well as their physical condition and if they have been practicing yoga prior to pregnancy. It would be best for expectant mothers to attend group or private prenatal classes with a prenatal qualified yoga instructor. For the elderly, it would be best to attend beginners hatha classes, or classes specifically structured for the elderly. These are gentle, slow paced classes often using props to assist where necessary. For postnatal mothers in Abu Dhabi can adding core training yoga poses help with getting back in shape? Definitely. In pregnancy, the body undergoes huge changes and takes a lot of strain. It is important to take it slowly, once exercise has been approved by the doctor. Certain poses may need to be avoided for a certain period of time, until the body heals. Seek a qualified post-natal yoga instructor or classes. Some studios also offer mom-and-baby yoga classes. Leila Knight is an expert when it comes to practicing Yoga in Abu Dhabi. With many years of experience and a great deal of knowledge in all areas of Yoga training and coaching. Leila is the perfect personal trainer choice if you are new to yoga or want to brush up on your techniques and poses. Suited to all levels and all ages Leila is available to provide personal yoga training in the UAE or in a group environment. You can view Leila’s full Abu Dhabi female personal trainer profile by clicking the link below.